The car used by Pope Francis during his trip to Ireland is to be donated to help homeless families. It will be given to the social care agency of the Catholic church in Dublin, Crosscare, a statement on behalf of Archbishop of Dublin Diarmuid Martin said. Each week, Crosscare staff assist families in trying to move on from a temporary emergency facility in the Mater Dei hub to more secure, long-term accommodation. A statement from the Archdiocese of Dublin said: “The now famous blue Skoda Rapid will be used by Crosscare staff to take families who are moving to view their next accommodation. Conor Hickey, director of Crosscare services, said they were delighted with the gift from the pope. He hoped struggling families would find this gesture from the pontiff of some comfort, because they were constantly remembered by him. Archbishop Martin decided that the vehicle would be donated to Crosscare. At any one time 50 families are in the Mater Dei hub seeking housing. Since it opened, 100 families have moved through the temporary system, facilitated by Crosscare workers. Homelessness is a major political and social issue in Ireland and critics have sharply attacked the government’s response. The government has put in place measures aimed at releasing State land for housing developments. 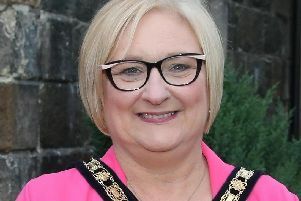 Mr Hickey has said the city’s crisis had reached huge proportions and a level unheard of three years ago. The Skoda will be given over to Crosscare in the coming days. It will not be able to keep the number plate, SCV 1, which means Stato della Citta del Vaticano, “Vatican City”.